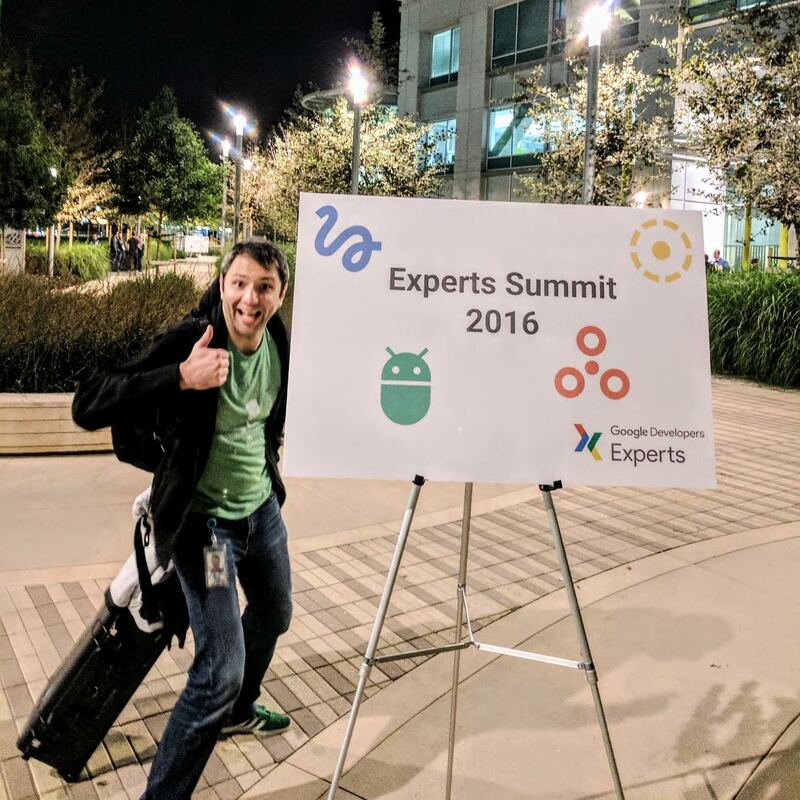 This week your cohosts Francesc and Mark travel all the way to sunny Sunnyvale, CA to interview some Google Developer Experts on the amazing things they do. Google Developer Experts are a very interesting group of highly skilled people with a passion for technology and spreading their knowledge. We will talk about how they are using the cloud to improve research on cancer. Alexis is a Developer Relations Program Manager for the Google Cloud Advocacy team, and manages the Google Developer Experts program for all cloud related topics. Lynn is the co-founder of ‘Teaching Kids Programming’ and a Big Data and Cloud Architect, as well as an analyst. She is also an advisory board member at Codenvy, and AlgebraixData. Alline is the founder of LeanX.co and a senior Java/GWT programmer. Over the past 20 years, she has programmed, taught and managed teams in various companies across the globe including Qualcomm; Nike Inc.; the University of California at San Diego (UCSD); Tata Consultancy Services (a CMM Level 5 company based in India); and TBABrazil (a Microsoft partner). Daniel is a entrepreneur, founder and CTO at Playax, a music intelligence and analytics platform. Before Playax he worked for two years as CTO at Elo7 – the biggest crafts marketplace in Brazil and became venture advisor at Monashees Capital. He is also a Computer Science PhD candidate at University of São Paulo – IME-USP. His PhD research in on Software Startups Ecosystems and Entrepreneurship. He mastered in Computer Science in University of São Paulo in 2009, with the Thesis Patterns for Introducing New Ideas in the Software Industry. Daniel started developing software in Brazil when he was 10, on his TK-3000 Basic 2MB RAM computer. He worked as a consultant and software developer in many companies. In 2001, he worked for an Internet startup in Italy. In 2006 he joined Locaweb, the biggest web hosting company in Brazil and worked there for 5 years as developer and tech lead in infrastructure team. In 2010, he organized the first DevOpsDays Brazil. Daniel is an active member in the agile and software development communities, speaker in many conferences such as QCON, Agile Brasil, TDC, DevCamp, Agile Trends and others. Didier has a Ph.D in Machine Learning; has been a web developer since 1994; a java developer since 1997; speaker at many conferences (QCon, Devoxx, Google Developer Day, DevFest, JUGs,…); an expert in Cloud Technologies. Currently, he’s Innovation Director at SFEIR (150-developer French IT Consultancy Company). Plus he’s a Google Authorized Trainer and author of the Android/AppEngine ABonEntendeur application – with 1M+ downloads. Krishnan is a seasoned professional with 16+ years of industry experience in multiple IT domains. Built several software products, secured and successfully executed multiple partner-­funded projects worth few million dollars. Krishnan currently works at a research institute in Singapore, where he leads a team of researchers, engineers, programmers and students on several computer security projects. Krishnan has also co-authored the book “Building Your Next Big Thing with Google Cloud Platform” which is the first book that comprehensively covers Google Cloud Platform. The book was launched at Google IO 2015 in May 2015 and more information is available at https://bit.ly/cloudplatformbook. He also created a new undergraduate course “Cloud Computing: business case and technical models” for a local university in Singapore. Albert is a developer and entrepreneur who’s worked on consumer, enterprise, and government software products. He is the co-founder and CTO of Symph, a design, development, and startup studio. At Symph, he has architected and developed solutions for 500 Startups, Office of the President of the Philippines, and the World Bank. Albert leads a diverse team of developers in creating software solutions. He ensures that the team’s output is high quality and performs well at scale. Albert is also passionate about empowering startups and has been involved in the Philippine Startup Ecosystem, by facilitating and mentoring at Startup Weekends and other events. Prior to that, Albert started SpellDial, directed plays, and mentored street children. He studied Information Technology at the Centre for International Education Global Colleges. He lives in Cebu City, Philippines with his wife. His interests include theatre, performing arts, and the non-trivial act of eradicating poverty. Vikram is full stack developer focused on building scalable web platforms for high availability, resilience and security. He is currently building solutions to simplify multi-channel advertising space at Omni Labs, Inc. in San Francisco, California. In past he has built a Real-Time Bidder which served over ~12Bn queries each day. Outside of work, he has a passion for contributing to open source community as one of the core contributors in MEAN Stack framework, among other web and cloud projects. He loves working with startups and developers in helping them navigate through challenges and succeed in their journey. If I delete something from Datastore, is it strongly consistent? Francesc will be working on the next episode of justforfunc and enjoying some holidays, right before joining our team offsite in Los Angeles with Mark. FRANCESC: Hi, and welcome to episode number 52 of the weekly Google Cloud Platform Podcast. I am Francesc Campoy, and I'm here with my dear colleague Mark Mandel. Hey, Mark. MARK: Hey Francesc, how are you doing today? FRANCESC: Very happy. Surrounded by lots of really cool people here at-- we are a Mont-- we're not in Mountain View. We're actually in Sunnyvale, where the GDE Summit, the Google Developer Experts Summit is taking place. FRANCESC: They're so interesting. So many cool interviews. We're going to have a bunch of short interviews where they're basically going to be telling us about what they do. And they do really cool stuff. MARK: They do do really cool stuff. And they do a bunch of events all around the world. So it's well worth listening to. FRANCESC: Yeah, and then at the end, we'll have a question of the week that comes from Slack, probably. MARK: Yeah, it comes from the Slack community. Really cool question about data store. FRANCESC: It involves-- it is interesting, because actually when I heard the question, I was like, I'm actually not sure about the answer. And then I was like, oh, that makes sense. But yeah, so that will be at the end. But before, we're going to have a cool thing of the week. And today is actually about a blog post. It's a really cool blog post. I really like it. The title is How to Avoid a Self-inflicted DDoS Attack, CRE Life's Lessons. MARK: Yeah, don't like, self-inflict at home. It's just a bad thing. FRANCESC: The worst part is that I've actually done the things that they say to do not do this. I've totally written code that did this. MARK: Yep. And I think it's one of these articles where you read it, and you're reading like, oh yeah, that totally makes sense. But until like somebody tells you to do these things, you're like, uh, why would that be a thing. FRANCESC: Yeah, so actually the one that I wrote is actually the first one that I've done today. Where it says try exponential backups so if something fails. So what it did was actually worse. MARK: Before you go into that, let's set some context. So the whole idea of the blog post. FRANCESC: The whole idea of the blog post is not best practices, it's the worst practices. One what are the things that if you write that could create issues? So it's like you should not just send requests on a fixed interval, regardless of the service working or not. Because then the end, basically what you're doing is you're adding more and more and more services trying to connect to your back end. And the back end is not up. So when it comes up, you have a huge amount of traffic waiting for you. So instead you should try exponential backoff. What I did was even better. I actually wrote an App Engine app that whenever a good [INAUDIBLE], it gets in the message to itself. So yeah. It ended up being very funny to see how it [INAUDIBLE] App Engine scales very well. So I was able to send messages to itself saying I failed. MARK: And then there were more messages that went back to it. FRANCESC: It was awful. Yeah, software architecture is fun. So yeah, that is one of the things. Try exponential backoff. It always hurt. It always helps. MARK: Yeah, there are several really great things in here about if you're building particularly mobile apps with services at the backend that could go down, because yeah, software fails. So techniques like exponential backoff, adding a little jitter, implement retry mocking, things like that. Well worth your time because it can save you a lot of time if something goes horribly, horribly wrong and you need to get everything back up again. FRANCESC: Yeah, it definitely, definitely helps avoid outages. And especially when an outage happens, minimize the effects of it. So definitely check it out. I think it's a great blog post. I really enjoyed it. And now to start with the main content for today, we're going to be talking with Alexis Moussine-Pouchkine, also known as Alexis MP. He's going to be telling us a little bit about who are the GDEs. MARK: Yeah, and what they do. FRANCESC: So we're here now with someone else from our team. Not a developer advocate though. But what are you? Who are you? Alexis, can you tell us a little bit real quick who you are, and what do you do at Google? ALEXIS: Sure, I'm Alexis Moussine-Pouchkine. I usually go by Alexis MP, and I look after a number of communities that we have that is developer communities. And one of them is Google Developer Experts, GDEs, and specifically the ones that are specializing in cloud. FRANCESC: So for the episode today, we're actually interviewing a bunch of them. Could you tell us a little bit about who are they? What is a GDE and how do you become one? ALEXIS: Yes, that's an excellent question. A GDE is somebody that's passionate obviously about a technology, in our case Google Cloud Platform. The program here is a way for them to be actually involved in speaking to program product managers in development teams, providing feedback, and taking what they learn and eventually when this hits the market, and trying to help us get the word out. When it comes to spreading the news, and speaking publicly, writing blogs. So a number of the listeners here will probably recognize some of the names as people authoring blogs and maybe good public speakers as well. FRANCESC: Yeah, they're all definitely very active in the open community. But I've heard that they also get privilege access to Google information. Like they have an NADA or something, right? ALEXIS: Right and then I'll get to the question about now you become one, because that's an interesting one. Yes, they're on their NDA, and that is how we can have some very interesting conversations about the things that is on the product manager's mind like the plans that they have. And try to validate those or amend them if possible. And get those people into early access program, maybe in a more systematic way than it would be if you were completely outside that program. And how do you become one? Well, you really need to be pretty technical. We're really looking for people that are able to pretty much be developer advocates, right? Now we just don't hire them. We have this relationship where we share a lot of stuff under NDA. We bring them to Mountain View once a year for a summit. And that's what's happening this year and this week in fact. And we hope that in return we'll get feedback from them. And from the sessions today, there definitely is feedback. ALEXIS: Some of it is really good and I'm really happy about the way it's going. And their part of the job is to help us get the word out there. So it's very similar to a number of other programs. This one needs to be very technical, and we're looking for influencers. And we're always looking for people around the world to help us spread the news. FRANCESC: I was in the room a couple minutes before, and I was listening to one of the talks. And I got to say, they're a really tough audience. When a product manager would be like, well, we think about this and this and that, rather than be like, oh, that is nice, someone could be like, what about this other one? It's a really tough audience. ALEXIS: And then that's what we're looking for. FRANCESC: They have an opinion. ALEXIS: They have an opinion, and that's why they're GDEs. We expect the feedback. We're not looking for people that will just rehash whatever the party line is. We're looking for people that make the messaging, whatever it is, theirs. And will amend it and will give it their full potential, given what they got out of it. FRANCESC: That is awesome. Thank you so much for taking the time to tell us about GDEs today. MARK: Now that we have a great idea of what GDEs are and what they do, why don't we go talk to some? FRANCESC: So we're very happy to have Lynn Langit today. Hello, how are you doing? LYNN: Hey, I'm doing great. FRANCESC: And you're one of the GDEs that I know the most because you write a lot about Windows and so many other crazy things. Why don't you tell us a little bit what do you do? LYNN: What do I do? I'm an independent cloud and big data architect. Most recently I've been working as lead on an iOT project on your competitor's cloud. But I am actually starting to do some work now back on your cloud in a really interesting vertical. And that vertical is scaling cancer genomics. MARK: Nice. Do you want to tell us a little bit more about that? LYNN: Yeah, for sure. Well, because I'm independent I can pretty much pick my projects. And so unfortunately, a friend of mine got cancer. And I was startled to see the lack of access to personalized treatments. And so I started to do some research. And I have a teenage daughter who had the good fortune to attend Stanford this summer and study cancer biology. So she had some information for me as well. And in looking at the state of research biology, I found that there was an opportunity to help educate the researchers about using various vendors' clouds to scale. So as I started to look into this, I saw that you guys here Google actually have a genomics API in alpha. And being a GDE, I have access to some of these alpha things that you guys have. So I got access to it and started working with it, and started learning biology. And here we go. FRANCESC: Cool. So can you share some of the results of it. How was your experience? How is it working with an alpha project? LYNN: I build software too, right? So alpha projects are alpha projects. But the genomics API really was very much a minimum viable. So it was a variant processing. So you input the data and then you magically get out a variant. So what the heck is a variant? For those of us who don't work in biology. So I'm still working on my understanding, so if you are a biologist listening, don't cringe. But the idea is that you've got genomic sequencing input. So TAGC, all that kind of stuff. And then you compare that with a reference genome. And then you find the variations or the variants, which I'm coming to understand is actually a very small percentage. Less than 1%. But it's those variants that are critical in personalized medicine. MARK: Cool. Well, I also know you've been a GDE for a little while. How did you end up becoming a GDE? What got you involved in the program? LYNN: I did a presentation on App Engine about six years ago to an all Microsoft audience. FRANCESC: Yeah, that gets you there. That gets you the title directly. Those points right there. LYNN: It pretty much did. MARK: And now I'm curious. What is your favorite thing about being part of the GDE program? What's been great for you? LYNN: So it's been really cool because I've been in since its inception to see the program grow. They were like, I don't know, 10, 15 people. And at this year's summit there's 300? Around 300 people I think. So it's super cool to see the program grow, to see new people come into the community, to get to know people across the world. Because one thing about this program, it really is a global program. And it's really interesting to me to learn about different areas of the world, travel, and work. Another thing that I'm doing is I'm starting to do some work in the Apac region. And I'm very excited that you guys are opening a data center in Australia. LYNN: So actually it's the combination of the two things. I applied and got accepted to speak at a biology conference on scaling using Google how to scale genomics in Australia. LYNN: I know! I'm so excited! So I'm doing that in February next year. MARK: What's the name of the conference, in case people want to know? LYNN: It's called Galaxy 2016. So Galaxy is an emerging tool out of the biology research community. It was created at Johns Hopkins. And the idea is to leverage Docker so that you can capture configuration. Because another really interesting problem in this space is that a lot of the research is not reproducible because people do it on their desktop, they do it on a VM instance, they don't capture all the settings. And so something as simple and something that we all know as using Docker to capture configuration can really help. FRANCESC: Yep, very, very, very interesting. I never thought that the cloud would be so helpful to such interesting and important things like cancer. So thank you so much, Lynn, for your time. And have fun with the rest of the summit. MARK: And thanks so much for being a GDE. LYNN: Thank you so much. Thanks. MARK: We're joined again by another fantastic GDE, Alline. Thank you so much for joining us. How are you doing today? AL LINE: I'm doing terrific, great, really good. MARK: Thank you so much for being a GDE. Can you just tell us a little bit about you and what you do? ALLINE: Sure. I'm a Java developer and I work with App Engine since App Engine exists. And I absolutely love the two because just make our life incredibly easy. And I hate DevOps. And App Engine just saves my life. And yeah, and since then I never stop. And I'm glad it's [INAUDIBLE] out there and working great. FRANCESC: Nice. So are you independent? Do you work for a company? ALLINE: Yeah, I used to work with a lot of companies like Nike, Qualcomm, Citibank. ALLINE: Yeah, kind of like that. And you name it. In Brazil, I'm from Brazil too, so a lot of companies in Brazil. But now I'm a little bit tired of corporation work and I'm play with a few startups and let's see how it goes. MARK: Excellent. Whereabouts are you located? ALLINE: I'm located him Brazil in Rio. MARK: And so as a GDE, are there communities out there that you're involved with, or events or any fun stuff about in that sort of region that people should know about if they want to be interested in Google Cloud? ALLINE: Of course. Not specifically for cloud, Google cloud, and like forget about App Engine. But there are a lot of Google events out there. And they growing a lot. And I just went to a DevFest in our central Brazil. And was like 600 developers. FRANCESC: Was it Belo Horizonte? FRANCESC: Aw. How many DevFests do you have in Brazil? That's cool. ALLINE: Yes, we're big, and it's growing. It's popping up all over the place. Yeah, so and that's good because this is all new things happening. It wasn't like that before. So it's being like that now. FRANCESC: Could you tell us a little bit about how you became a GDE? ALLINE: --she called Lynn Langit. She was the GDE of the program, and she basically invented that, I think. Joking. Just cut that part. She was there since the beginning. And we are friends from San Diego. I used to live in San Diego too. And we worked together there. And we play and we teach kids and we do all fun things over there. We used to do. And as soon as she became a GDE and becomes a real program and it starts growing, she said OK, I have to invite people. She saw me and invite me. And I jump in right away and say I what an opportunity. What a real recognition. And that since then is making my life easier for my resume. For my personnel marketing and everything. It's incredible. FRANCESC: So we already covered what was your favorite part of the platform, which is clearly Java and App Engine, which is fun. It's not Go, but whatever. No, just kidding. ALLINE: Yeah, you're right. I got it. FRANCESC: What is your favorite part of being a GDE? ALLINE: I think it's two things that I love the most. One is the GDE community. That this is just incredible people. They all look like me. I feel like totally home. Outside of the tech community, the Google community, or the GDE community, I feel weird. I'm a nerd and I'm weird. But inside GDE I'm totally myself. ALLINE: I'm home, so I love that. And outside of being a GDE for the whole world, when I say oh, do you work for Google though? That makes me look nice. I have to rephrase it. No I don't, but still they don't care what we say. They think we are a Google thing. FRANCESC: Yeah. The name Google open some doors sometimes. ALLINE: All the doors. All doors I want to be open. MARK: Wonderful. Before we finish up, are there anything coming up or any events or things that people would like to-- the areas you're involved in, or you want to promote that are happening in your region that people would be interested in? ALLINE: Yeah, there's still a DevFest going on until the end of the month, right? It's the DevFest month. So I'm going to a few of them. I'm going to speak on App Engine Flexible. And how to reduce cost on the cloud, because cost is being a big thing. And what else? And after that I'm going to really focus on start up things. MARK: What are the names of the DevFests that you're going to? ALLINE: DevFest Campinas is the one I'm going to speak. MARK: Excellent. Well, thank you so much for joining us today. We really appreciate you taking the time. FRANCESC: Thank you for being a GDE. FRANCESC: So, hi. We're with Daniel Cook here. Where are you from? DANIEL: I'm from Brazil, Sao Paulo, Brazil. FRANCESC: Nice, I was supposed to go there. MARK: You were supposed to go there. DANIEL: You should, You should. FRANCESC: So tell us a little bit about yourself. What do you do? DANIEL: So I run a company, a startup in Sao Paulo. It's a music analytics platform. We use big data and music data to help music professions to expand their audience and to develop their own space. MARK: What's the name of the company? FRANCESC: Could you tell us a little bit more about how is it that you are a GDE? DANIEL: So basically I use a lot of cloud. I have been using cloud generally in my whole life, developing software. And then the start up, we needed a lot of computing power to start a business. So it's a different kind of business that you need a lot of computing to start. So even from scratch, we didn't have customers, but we needed a lot of cloud computing. And Google had this program for startups. So we could get some incentives from Google Cloud. And then we started to use Google Cloud. FRANCESC: Cool, so what products are using currently? What is a product that you're using the most? DANIEL: The most we use is Compute Engine. So we have something around 50 virtual machines running there. But we also use cloud storage, file storage, actually. And a little bit of Cloud SQL also. Not too much. Yeah, and the monitoring stat driver and the whole other thing. MARK: You said you're in Sao Paulo, and you're a GDE. Are you're involved with any events or any communities up there? Stuff like that? DANIEL: Yeah, I'm also a technical adviser of venture capital group in Sao Paulo. So I help a lot of companies in their portfolios to understand the Google technologies. So we have private events that I help them to start with Google Cloud. Most of them use Amazon as their platform. FRANCESC: So why don't you tell us what is your favorite thing about being a GDE, a Google Developer Expert? If you were to choose one. DANIEL: To be here with you guys. FRANCESC: And now the real answer? DANIEL: So it's cool to have access to primer information. So before products get launched. So we can plan and maybe when we know it before anyone, we get, OK, let's wait because Google will launch something in the next month or instead of trying to tackle this problem and do a lot of work on that. We can wait. And so having privileged information about that is cool. And also having access to many other developers other experts, it's great. Because we can change knowledge. And this is a wonderful. FRANCESC: Cool. And one last question. What is your favorite product or feature of Google Cloud Platform? DANIEL: One feature that I think is very interesting is the preemptable instances. So we could actually-- and I wrote a blog post about it-- could decrease our costs in 40% after moving part of our infrastructure to preemptable instances. And compared to others, for example, compared to spot instances in Amazon, it's a lot better because Spot you have all this complex speed things that you need to do. And preemptable is much more predictable. So you that the service will go down next 24 hours, so you plan for it. And you already know how much you're going to pay for that. So this is great. MARK: Daniel, thank you so much for joining us. And thank you so much for all the work you do as a GDE. We really appreciate it. FRANCESC: Thanks for it. So I'm happy to have Didier in the Google Cloud Platform Podcast. How are you doing, Didier? FRANCESC: Why don't you tell us a little bit about yourself? We kind of know, Didier you're from France, but what do you do? DIDIER: So I'm [INAUDIBLE] engineering at SFEIR. It's a [INAUDIBLE] company. We are about 300 developers. I'm doing some cloud stuff about eight years right now, for now. And that's it. FRANCESC: Cool. Could you tell us a bit more about your experience of the GDE? How long it's been since you joined the program? DIDIER: So I joined the program in 2012, so it's a long time ago. MARK: How did you end up being a GDE? DIDIER: So I start to use the App Engine as a beta tester. It was in 2008. And first I was using it for my own. I On top of App Engine I build an Android App Equations. It was quite a success because I've got about 1 million of download of the applications. And I find it very easy to use, App Engine and quite useful. So I start to push App Engine inside my company. And then the story starts. FRANCESC: Cool, what language was this? DIDIER: At first, I was using Pythons, and I switched to Java on IO. I'm using Go mainly. FRANCESC: Cool. So Nexus PHP? FRANCESC: Nice. So why don't you tell us a bit about your experience with the platform? What is your favorite product? DIDIER: So you ask me for my favorite products. DIDIER: Feature. Maybe I have two. App Engine. I love a lot App Engine because it helps to build very scalable application, and it's very easy to do that. For example, I have built applications for clients who want to scale from zero to millions of people in a few minutes. App Engine can help to do that. And maybe the second one is BigQuery because, for the same reason, you can have queries that run on billions of lines. And you have the result in a few seconds. I love that. FRANCESC: Yeah. I've got to say that one of the times I went to-- I think I was in DevOps Paris-- I went to one of your trainings, one of your BigQuery trainings. It was pretty amazing, I've got to say. I know BigQuery, and I was impressed. MARK: Well, it sounds like you hit up a number of events for doing presentations and training. What have been some of your favorite events that you've been talking at? DIDIER: I don't remember which ones was the best. MARK: What's your favorite? What's most memorable, then? DIDIER: Yeah. I love to talk to DevOps, for example, also to Dev Fest. And to small event also because of course it's fun to go to a large event with hundreds of people. But sometimes you have very nice moments in a small place with maybe only 30 people, like in Java user group of GDG or something like that. FRANCESC: Why don't you tell us about what is your favorite part about being a GDE, being a Google Developer Expert? DIDIER: What I love is just to share what I know about the platform. MARK: And is that mainly through training and presentations? Or do you do anything else? DIDIER: I'm doing mainly presentation and training. I have trained about in France. But I think I'm near 1,000 people in training. MARK: Nice. Very, very nice. FRANCESC: Yeah. That is more than me, I think. MARK: You need to lift your game, Francesc. FRANCESC: That is very amazing. Yeah. I need to get working. Yeah. That is awesome. MARK: All right. Well, thank you so much for joining us today. I really appreciate you taking the time. And thanks so much for being a GDE. MARK: Hey, Krishnan. Thank you very much for joining us today. How are you doing? KRISHNAN: I'm doing good, enjoying the GDE Summit as always. This has been my third GDE Summit so far. MARK: Excellent. Do you want to tell us a little bit about you, what you do, your background? KRISHNAN: OK. So I came into the GDE world from actually the GDG world, which is the Google Developer Group. I'm founder of the Google Developer Group in Singapore, which I did so in 2009 around June. That was just six months after the first GDG-- or it was called G Tech at the time-- that was created by [INAUDIBLE]. So I was managing the group until the end of last year, that is, in 2015. And over the span of five years, I did 60 events. And I've given nearly 20 public talks in Singapore, Brunei, Taiwan, Malaysia, I think virtually over Bangladesh, a little bit, I believe, in Indonesia as well. MARK: That's a fairly impressive resume. I assume that means you're based out of Singapore. KRISHNAN: I moved to the US. I had an opportunity to work on a Google Cloud Platform product. So I'm currently based in Washington, DC. I'm very new to US. So from this January, I'm living in Washington, DC. FRANCESC: And on top of all this impressive activity, you also wrote a book. KRISHNAN: Yes. I did write a book. Thanks for reminding-- or thanks for remembering it. FRANCESC: I remember that. I reviewed it. KRISHNAN: Oh yeah. You did. Thank you. So I wrote the first book on the Google Cloud Platform. It was called "Building Your Next Big Thing on Google Cloud Platform." That's very, very passionate to me. That's because I got so much support from Googlers like yourself, and also the other product managers, who reviewed each and every chapter of the book. And I believe till today that is the only comprehensive book that has been written. I am looking forward to have some time to actually rewrite the book, but probably in a different form, not as an entire book. Because the pace at which the Google Cloud Platform universe is expanding, there is no way I can write one book cover to cover. And it's just going to be a Bible very soon, right? That's the way it's going to go. FRANCESC: Yeah. By the time you finish the book, also, we have released plenty of products. MARK: It sounds like you've done a whole bunch of events. Were there particular events around the APAC region that you found were particularly great, like community events or conferences or anything like that, considering you spoke so much around the area? KRISHNAN: Primarily, my talkings were in the GDG meet ups in Singapore, then on the Dev Fest in Brunei. Then there was one event. It was some kind of a cloud conference in Malaysia-- I forgot the name-- that was having a multi vendors kind of thing. And I presented about the Google Cloud Platform there. FRANCESC: Cool. So you mentioned that you have been part of the GDE program for at least three years. This is the third time that you come to the summit. KRISHNAN: OK. My favorite part is the opportunity to test new technologies and to give direct feedback to the program managers, or product managers. That's my favorite part of being a GDE. And that's where we feel that we are valued so much. And we are a small group of people who are valued by Googlers, by Google as a company itself, where they're trusting us with all these upcoming things. And we can give the feedback. And in many cases, our feedback actually productizes, gets absorbed into the product. FRANCESC: Yeah. I really like that at the end of every single session, there is a Q&A. But it is not really a Q&A. It's just the audience giving their opinion about things, which is pretty awesome. MARK: It's pretty awesome. That's fantastic. MARK: Excellent. Well, Krishnan, thank you so much for joining us. Thank you so much for being a GDE. We really appreciate you taking the time. KRISHNAN: And thank you for interviewing me. FRANCESC: Thank you. So now we are joined not by one GDE, by two. We have Albert and Vikram. Hi. How are you doing? MARK: Two GDEs are better than one. FRANCESC: Yeah. And also, I think that the good story here is that they actually know each other. How do you know each other? VIKRAM: So we actually met back in GCP Next last year. And since then, we have been in touch with each other. And he is in Indonesia. And I've been in India. ALBERT: And I'm from Philippines. Close, close. Southeast Asia. MARK: You two clearly know each other very well. VIKRAM: So yeah. We have been in touch with other GDG communities and other events. FRANCESC: Cool. So it's Google Developer friends. That is so cool. ALBERT: Yeah. Actually, it was quite funny how we met. So we were standing in line in queue to the Cloud Vision booth, the Emotobooth. So then the guy said, next. And I was like, OK, who's going to go first? And the guy says, both of you, come over. And so we posed together. And then we introduced each other. I actually didn't get his name. He didn't get my name. We just sort of like-- we had a picture together. And then my friend, a Googler back in the Philippines, said, oh, you're in GCP. Meet Vikram. You should meet Vikram. And then he tagged him in my profile. And then I looked and I was like, I've met this guy. And so I started hunting him around again. FRANCESC: GCP Next missed connections. MARK: Yeah. There's a demo in that that we could build. MARK: That's super cool. So why don't you both tell us a little bit about yourselves, and what your backgrounds are and what you're doing. ALBERT: OK. So I'm the CTO and co-founder of Symph. We're a branding, design, web, and mobile development company. So we do work for companies and governments. We do a lot of work. Maybe I think that brands you'd recognize would be the government of Philippines brand, the World Bank, and other clients as well, both local and overseas to the Philippines. So we have a team of about 40 people. We do a lot of our work in Google Cloud Platform, obviously. That allows us to really build products for our clients quicker without having to worry about much of the DevOps. VIKRAM: Yeah. So I'm a Full Stack Developer at Omni. We are based out of San Francisco. And we are easing the marketing needs for all the analytics performance, whether it's machine learning on that, and using that to help marketers simplify their decisions and their data collection. FRANCESC: Cool. And why don't you tell us a little bit from your personal experience? What is your favorite feature or product of Google Cloud Platform? Maybe you go first, Vikram. VIKRAM: So one of the two favorite features, favorite programs, I really like the no-ops strategy for Google. So that involves on one end, we have App Engine. On the other end, we have BigQuery. So both of them, when working together, they form the best ease of product usage for me because I don't have to manage anything. And being in a startup, it's really good for me because I don't have to worry about anything-- nothing on the database side, nothing on the scalability of the web app that we have. FRANCESC: Very cool. What about you? ALBERT: Yeah. I mean, similar here, App Engine. I mean, no-ops is really a big thing for us. Like, if I can one button instead of having to configure and do 10 buttons, I would want the one button that does the same thing. So I like App Engine very much. I also like-- I don't know if it's Google Cloud. I don't really know what the official [INAUDIBLE]. But I really like Firebase real time database. It just really works really nicely. I mean, we spent hours, maybe even days, trying to replicate the functionality ourselves. But when you can go Firebase, it just works. FRANCESC: Yeah. I'm not sure if Firebase is technically part of Google Cloud Platform. MARK: It's part of the family. FRANCESC: We do love them. MARK: We love them. They're part of the family, I think. FRANCESC: We definitely love them. VIKRAM: I love them too. MARK: So you're both GDEs. Why don't you tell us a little bit about what you do as a GDE and what some of your favorite things to do as a GDE is. ALBERT: All right. So I do a lot of talking. I like talking more than writing. So I don't have much blogs or maybe even online material. But I do a lot of talks. So I go around, give talks, encourage students, maybe developers as well, on topics like App Engine, Firebase, even machine learning. So we talk about TensorFlow. We talk about getting started in TensorFlow, and just going to tutorials and making sure that people are getting to know the latest and they're getting on board, as opposed to just finding out what's there when they start working. So I really have fun doing that and mostly just really speaking around the area. FRANCESC: Cool. What about you? VIKRAM: Hands-on consultancy with them. MARK: So that's really interesting. How did you both end up becoming GDEs? How did you end up there? ALBERT: So I started on Google App Engine, or when I would say Google App Engine was the only thing Google Cloud. That was eight years ago. I've been programming on that since. And then I was just basically talking about it, advocating for it, having my own workshops. Didn't even have Google support back then, like no swags. And then suddenly, about three years after I started, I got somebody who contacted me and wanted me to speak at a dev fest. That was the first dev fest in our area. I talked about App Engine. Nobody really knew about App Engine back then in our area, aside from that talk. So I have just continuously been doing that. In fact, I didn't even know about the experts program until I was told that I was nominated to the program. And I want you to talk to somebody. You're going to get an interview. And I'm like, OK. So that was pretty interesting. VIKRAM: For me, I've been pretty much involved with GDG communities since I was in school. So I ran a GDG for two years there. Then I ran a GDG in New Delhi for two years. So I've been pretty much involved with the GDG community and GDE in part. And I've done multiple events on Google Cloud, and scripts, and like [INAUDIBLE], et cetera. But I focused myself after college into more of the cloud stuff. And since then, I've been getting more hands-on onto cloud. And since I moved here in SF, it's been even more hands-on. And then somebody from the team-- it was actually Ray Sang-- who discovered me, who reached out to me. And he said that you should apply for this. And I met Alexis at the GCP Next, actually, last year. And since then, I've been here. Actually, Mark took my interview. FRANCESC: Oh, nice. Really? Oh. That is cool. MARK: Yeah. So he has to say nice things about me now. FRANCESC: Cool. Well, thank you so much for taking the time to talk to us today. And thank you for being GDEs. VIKRAM: Thank you for having us. FRANCESC: That was-- I was going to say a great conversation. That was a bunch of great conversations. So thanks to all the GDEs that we interviewed, also to the ones that somehow got cut off. This episode otherwise could be three hours. MARK: Yeah. There were so many GDEs here I could have spent a whole 20 minutes, half an hour, three hours talking to about their stuff. FRANCESC: Oh yeah. So interesting. And even the ones that didn't want to talk to us were also very interesting. Anyway, I think it's time to go with a question of the week. And the question of the week today, as we said at the beginning, come from Slack. And it is about data store. So if I delete something from data store-- so to delete something, you're going to use the delete operation that requires a key. And you're going say, delete this key, right? Is that strongly consistent or eventually consistent? MARK: So Francesc, that's a really great question. MARK: Because, like many types of things in software development, it depends. So basically, within data store, if you're interacting with a record, whether it's delete or get or put, if you're interacting with it through it's unique identifier key, that is strongly consistent. So if I put something in data store and then ask for it by its key, I'll get it back straightaway. FRANCESC: So that is strongly consistent. MARK: That is strongly consistent. However, generally speaking-- we will go into this in a second- when you query for stuff-- so you're looking for, say, numerous records, so every person who has an age over 23, for example-- that is eventually consistent. MARK: So you have to take that into account. FRANCESC: --and you delete it. And then right after, you ask for, give me a list of the people that are over 23, you might get that person back because it's eventually consistent. MARK: Exactly. And you might not because it's eventually consistent. Now, there are some things in there to make sure it is strongly consistent. There's a thing called ancestor queries. So you can tie a record essentially to another record, like a parent record. And when you do that, what that means is when you do a query, you can then do an ancestor query. You're basically saying, give me every person who's over 23 who is attached to this parent record. In that case, it will be consistent. The trade-off there, though, is in write speed. So when you write things to data store that are attached to a single entity, you can usually do it around one per second. So that's a trade-off you have to consider when designing how you're going to use and how you're going to structure your data within data store. FRANCESC: Cool. I think that that makes it pretty clear. And actually, what I'm going to do is there's a really, really good explanation of all of this in a Coursera course. It's called Building Scalable Web Applications with App Engine. And it's available for Java and Python. So I'll put a link to that. They explain very, very well how all of this works and why is it the way it's done. MARK: Yeah. Data store is hugely, hugely powerful. But you definitely need to know how it works. FRANCESC: There are some constraints. But in exchange, you get crazy scalability. MARK: Excellent. Well, Fransesc, thank you again for another episode. Are you going anywhere or doing anything Just For Func-ing? What are you up to? FRANCESC: So I, again, released a new episode of Just for Func. So go check it out. It's youtube.com/c/justforfunc with a C at the end. FRANCESC: And other than that, what am I doing? I'm actually enjoying some holidays. So I'll be going to China for some holidays, and then back to have an off site with our beautiful team. FRANCESC: Very excited about that one. MARK: Cool. I am not going anywhere for, I think, the rest of the year-- cross fingers. FRANCESC: You're coming to the off site. MARK: I am coming to the off site. That is true, actually. I am coming to the off site. And I will be participating in Thanksgiving in some way, shape, or form, which will be interesting. FRANCESC: Well, thank you again. And I think that it's been a super long time since we have not given our listeners the ways they can contact us. FRANCESC: So why don't we do it? MARK: They can reach us on Reddit. FRANCESC: On Slack, there is a channel called Podcast, which is part of the Google Cloud Platform community. MARK: Excellent. And I think the last one I think I'm missing is on Twitter. FRANCESC: At Twitter, which is GCPPodcast. And also, you're also forgetting the fact that we're on YouTube. FRANCESC: Yeah. So there's a playlist with all these episodes and more on the Google Cloud channel. So go check it out. There's a podcast playlist. Rather than listening to us on your mobile phone, listening to a podcast application, you can also just watch it. There's not much to see. It's just an image. But you can listen to us. MARK: Yeah. If you're a YouTube Red subscriber, you can download it offline storage and listen to it that way too. FRANCESC: That is a very good idea. Had not thought about that. MARK: I'm going to open up another idea we had in another episode, which is if you want to come on the podcast, but just in a little way, if you want to record a question and email it in to us, say, like, as a Drive or a Dropbox link or anything like that, if you gave us a good question, we'll definitely put it on the podcast. FRANCESC: And we're actually considering giving prizes to people that do this. We still don't know what. MARK: Ooh, I like it. MARK: Excellent. All right, Fransesc. Thank you so much for joining me yet another week. FRANCESC: Thank you, Mark. And talk to you and to you all next week.